Organic farmers, small producers as well as beekeepers sell their products on the farms or weekly markets. Their goods are subject to the same marking obligations for the best-before date (Mindesthaltbarkeitsdatum; MHD) as the packed food in the supermarkets. Many use mobile digital marking devices like the handheld inket printer jetStamp 790 MP or handheld inkjet printer jetStamp 792 MP for this. These are flexible inkjet printers that are manually placed right on the packaging and that print on the imprint – in this case the best-before date – with great precision and permanently. The mobile REINER marking devices are particularly suitable for marking of various packaging types such as screw-top jars, vacuum packs, cellophane and cardboard boxes with their quick-drying ink. The practical handheld inkjet printerscan print easily on small and even on curved surfaces. Not only small enterprises value the diverse uses of these precise and quick "hand-held inkjets": The enclosed software "PCset easy" can be used to design the filling date, best-before date, time, LOT number or batch number and transfer them to the mobile marking device. Why do we have a best-before date in the first place? What does the best-before date mean for small producers, small entrepreneurs and medium-sized businesses? 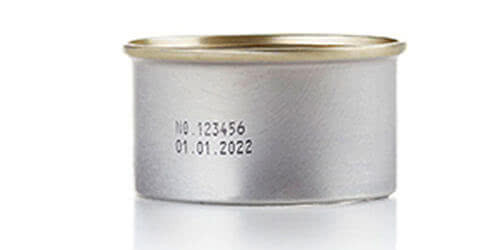 » Learn more in the article "Interesting information about the best-before date"